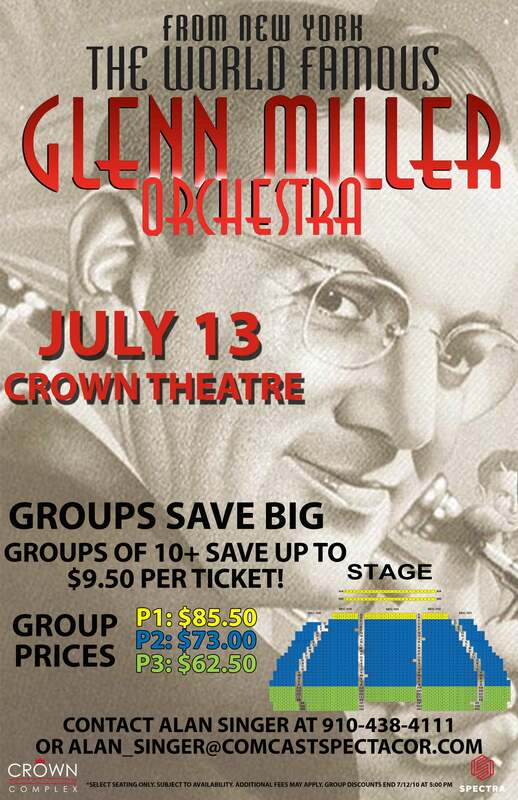 On a memorable evening, 18 musicians and singers will bring the unforgettable Glenn Miller sound to the Crown Theatre, performing timeless songs that everyone remembers. This is a must-see show for jazz and swing fans alike or the incurable romantics who want to step back in time. The legendary Glenn Miller was the most successful of all the dance bandleaders back in the Swing era of the 1930s and 1940s. 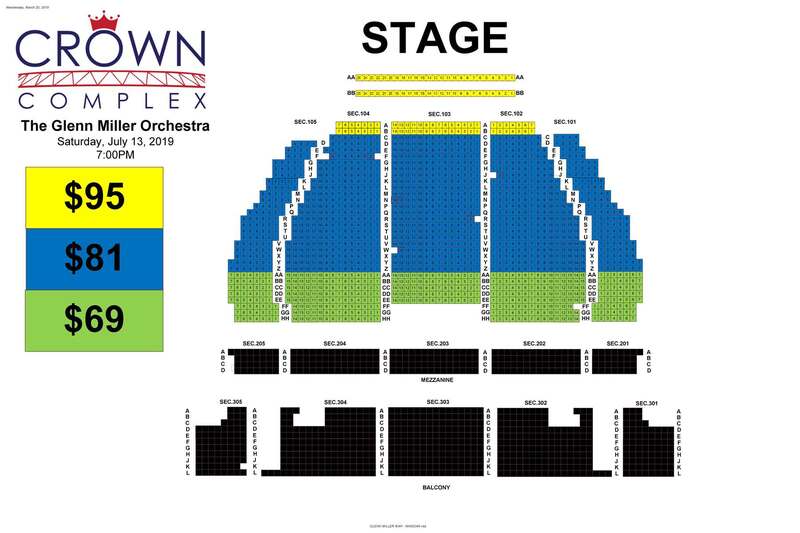 Producer Didier Morissonneau is proud to bring the most famous orchestra of all time to the North Carolina music scene, to perform their classic two-hour greatest hits show, directed by the young and dynamic Nick Hilsher!